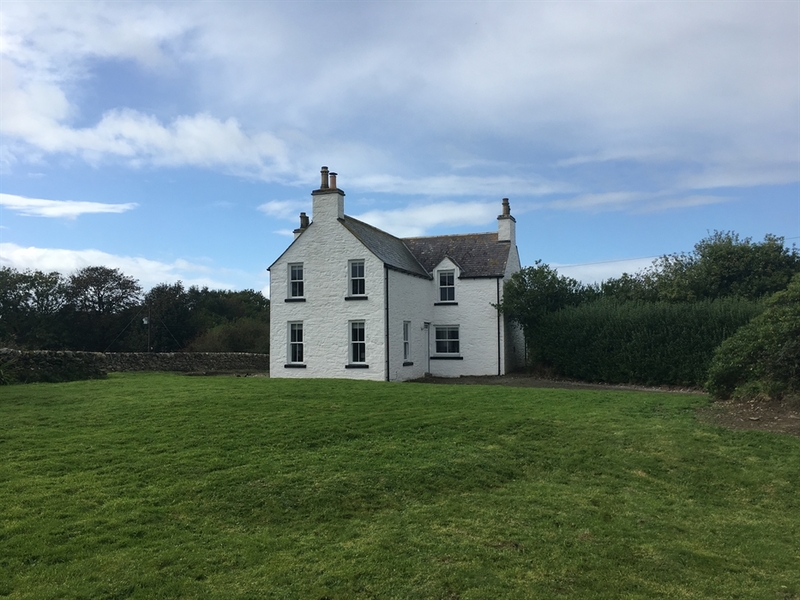 Longhill is a comfortable three bedroom farmhouse (sleeps 6) set amongst the beautiful Galloway countryside and farmland. Newly refurbished and decorated, Longhill offers a sanctuary from everyday life. Walk, run or ride to explore the surrounding countryside and coastal walks or simply sit and watch the abundant wildlife. On cooler days, cosy up by the open fire or test your ping pong skills in the games room if you're feeling more energetic. Longhill is a working farm, surrounded by arable fields, yet only a few minutes drive from the Royal Burgh of Whithorn. It's a traditional farmhouse with a lovely spacious kitchen which is well equipped with all the essential crockery, utensils and cooking equipment that you might need. There is a dishwasher, induction hob, microwave as well as everything else you would expect. In a utility room off the kitchen you will also find a washing machine, tumble dryer and freezer. A high chair and plenty of melamine/plastic dining sets are also supplied for our youngest visitors. The sitting room looks out over the large garden at the front and has plenty of comfortable seating, set around an open fire (logs provided). There is a smart tv for your entertainment. A games room hosts a ping pong table for those inevitable rainy days, as well as a second tv which is useful for children! There are also books, board games, toys and DVD's. In the hall there is a small desk if anyone (God forbid!) might need to do some work. Otherwise it is home to all the info you might need on the local area, with a map for the region on the wall above. Upstairs the three bedrooms are all large, light and airy, with top quality bedding and bed linen. There is a twin, a kingsize and a luxurious, expansive super king for the ultimate undisturbed sleep. Alternatively the superking can be split into two singles. In each bed you will slip between Egyptian cotton sheets and sink onto a sumptuous mattress topper for a deep slumber. Each bedroom has their own hair dryer, plenty of storage for clothes, a mirror and waste paper bin. A large bath sheet and small hand towel are provided for each guest. The bathroom contains a shower over a bath. Soap and loo roll are provided for your arrival. There is also an outside dining area and BBQ for those sunny days and evenings.